For 100,000 rupiah one way the horse was quite a luxury for the locals. 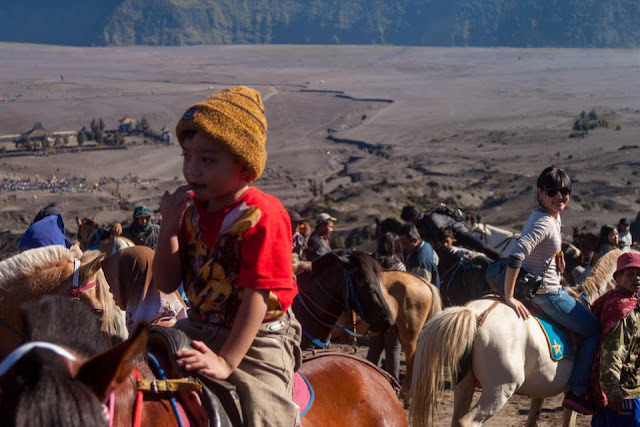 It was my very first time on a horse and the experience was amazing, riding the horse (comes with the guide to lead the way) through the ash sand plains, to Bromo. Photo taken by Seth Weisel. seemed like it was a fun trip!